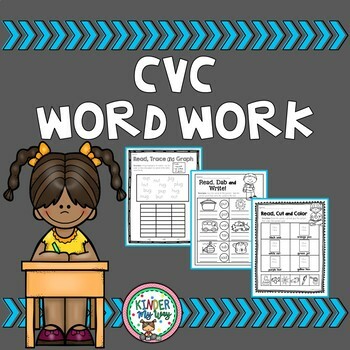 This CVC Word Work Packet includes 35 pages of interactive word work worksheets. 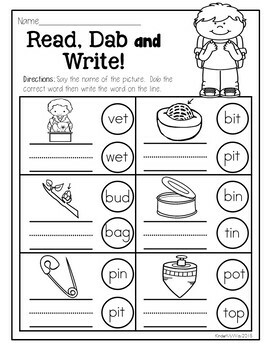 These NO PREP worksheets will help your students practice reading, writing and fluency. 2 pages of Say It! Find It! Write it! Sight Words Kindergarten Primer Pack (Daubers). 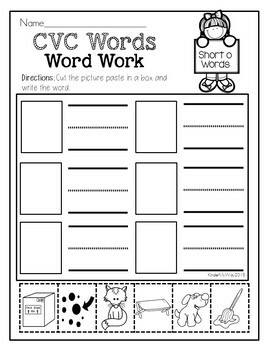 Sight Words Kindergarten Print and Go Packet. Sight Words - Read, Trace and Graph - Pre-Primer. 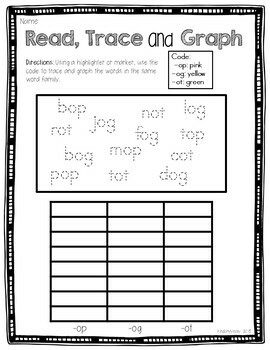 Sight Words - Read, Trace and Graph - Primer.